There's a serious irony to the reality that residents of Portland-area cities — where sustainability is nearly a religion — deposit non-recyclable items in their colorful bins in such volume that they render entire truckloads unsalable in the recycling market. Adding to the confusion is the spectrum of what is accepted where and keeping track of it all. Your home disposal service may take washed aluminum foil but your workplace service does not. And your in-laws' disposal service will accept napkins in the kitchen compost, but at your best friend's house they don't allow food of any kind in garden debris bins. "Here in the Northwest we tend to be the region that is particular about recycling," says Therese McLain, municipal manager for Republic Services in Oregon. She encourages cities and counties to be very proactive about communicating with their residents regarding the particulars about what can and cannot be recycled locally, especially curbside. 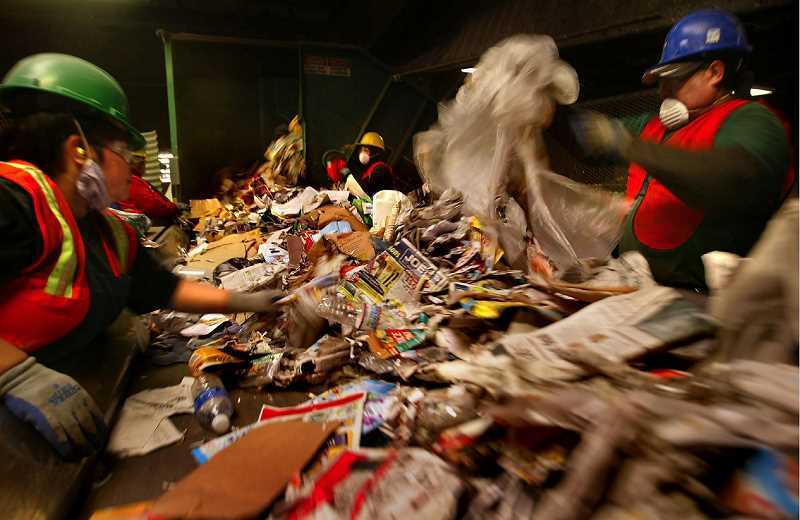 People dedicated to the mission of recycling need to take responsibility for doing it in such a way as to ensure the items are actually recycled once leaving their home bin, according to Metro, the Portland-area regional planning organization. Trying to recycle things with no resale market drives up the cost for everyone. Paper manufactured to resist breaking down when exposed to moisture — items like frozen food boxes and disposable coffee cups — are rarely recyclable. 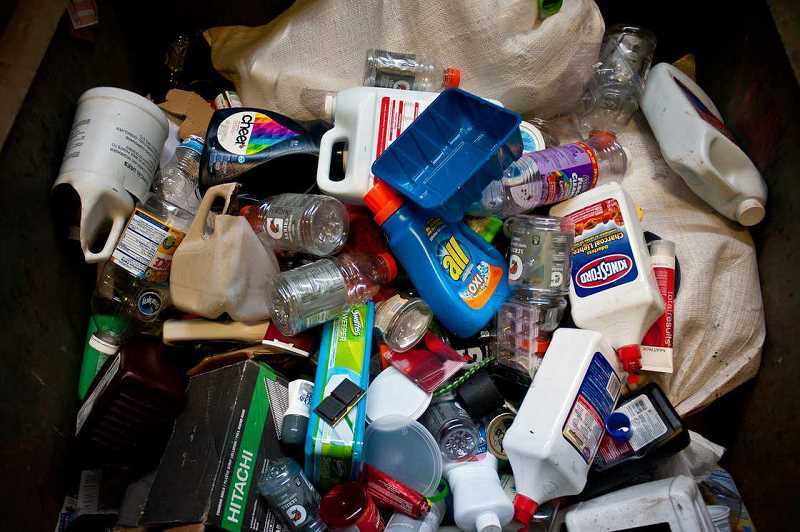 Small items like caps from soda and beer bottles, lids from yogurt containers and plastic grocery sacks are not allowed in the mixed recycling bins because they jam sorting machines. And broken glass is a hazard for workers. The biggest reason not everything made of paper, glass or plastic is recyclable is because there is no market for resale. Our disposal companies need to find sources interested in taking their tons of sorted and (hopefully) uncontaminated materials, and they'll only do that if it's cost-effective for them to do so. Committing to doing a better job of emptying and cleaning our recyclable items is one thing, but how do we keep track of what to put in our curbside bins in the first place? — Cardboard (cereal boxes, corrugated, etc.). — Pill bottles (too small). Until recently, recyclers could drop off plastic grocery bags and clear plastic containers, such as food clamshells or blister packs, at area New Seasons Markets. But no longer. "Now, due to new international market restrictions on recycled plastics, local recycling companies have no place to sell them so they are currently not collecting these plastics," said a statement released by New Seasons in October. McLain highly recommends the website plasticfilmrecycling.org as a resource to find out where to recycle non-curbside materials such as plastic grocery bags, clear film wrap and zip-top food bags. "It's a good website, intuitive and user-friendly," she says. "The problem with our websites is there aren't enough landing sites to address every detail about every item. If people have questions we recommend they call our customer service." As in life, location is everything. In Lake Oswego and Portland, coffee filters, napkins and paper towels can go in the yard debris/food compost bins — but not in West Linn or Wilsonville. And many 'non-curbside-worthy' materials will be accepted at designated drop sites in the metro area.